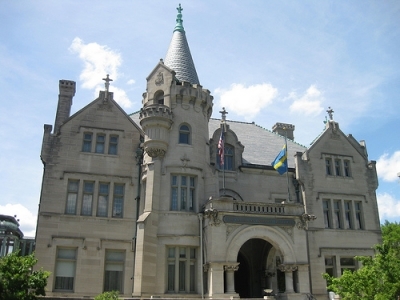 The Charles M. Harrington Mansion, one of Park Ave’s eight remaining mansions. When Montana and I set out in search of antiques at an estate sale on a cold Thanksgiving weekend in 2003, nothing had prepared us for the “find” upon which we were about to stumble. 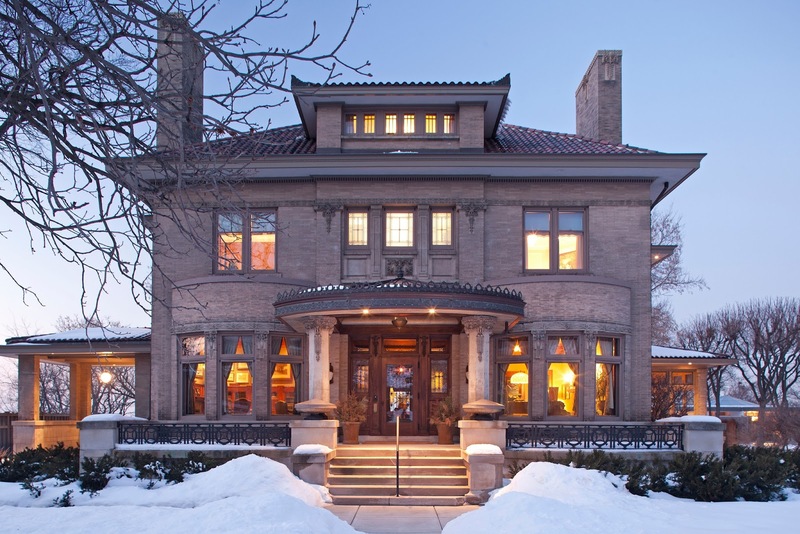 As we pulled up to the well-preserved 1905 Colonial Revival on Minneapolis’s historic Park Avenue we instantly knew “this was going to be a good one.” But once inside, we forgot all about antiques, finding ourselves more enamored with the house than its contents. We wasted no time tracking down the nearest estate sale worker to inquire about the home’s status. As we discovered, the elderly owner had recently moved to a senior care facility and the house was up for sale. We jumped. After closing, we visited Wendell Erickson, the 101-year-old seller, in his nursing home. His charming stories of his 72 years in the house not only sparked our interest in the home’s history, but in the history of Park Avenue in general. That led to years of extensive research on both our home and the neighborhood; from that research we eventually created what has become one of the best-attended historic walking tours in the city. At the turn of the last century, Park Avenue was one of Minneapolis’s most prestigious residential streets. Thirty-five of the city’s most opulent mansions, built for the business and social elite, once lined the 10-block “Golden Mile” from the edge of downtown at 18th Street south to 28th Street. 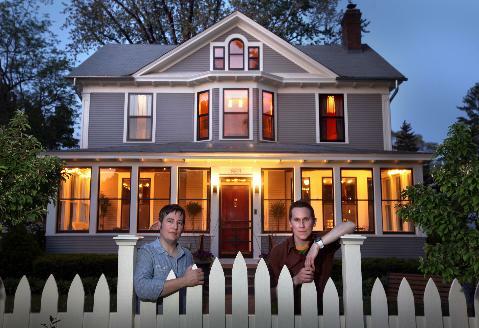 Today, only eight of these mansions remain. The next 10 blocks, between 28th and 38th streets, were home to upper-middle-class professionals. This stretch of elegant wood frame houses—each far exceeding the city’s then-average $3,000 construction price tag—remains largely intact. All 20 blocks showcase a wonderfully eclectic array of turn-of-the-century architectural styles rendered by the city’s most prolific architects. The last grand mansion to be built on Park Avenue, this Georgian Revival was originally designed by society architect Whitney for Grain Commissioner David D. Tenney. 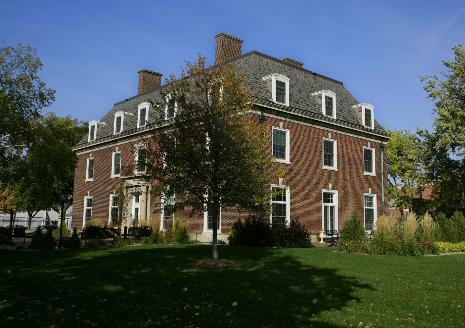 After her husband’s death, Mrs. Tenney continued to live in the home until 1939 when she sold it to John Cowles, then publisher of the Minneapolis Star Tribune. After 44 years in the mansion, the Cowles family sold the estate in late 1983 to a nonprofit organization, marking the official end of single-family occupancy of Park Avenue’s mansions. 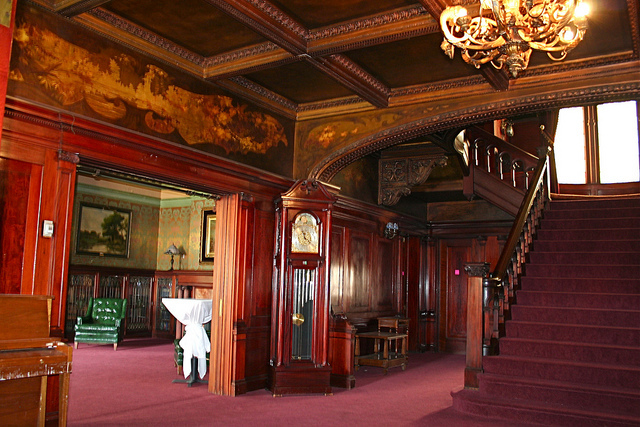 This unusual Venetian Gothic palace was built for lumber baron Anson Brooks. Father-son team Long and Long (the elder designed some of the city’s most high-profile early skyscrapers, including the Richardsonian Romanesque Minneapolis City Hall) went all-out for this striking commission, adding elaborate interlaced arches, decorative parapets, and a myriad of other stunning details set against a generally Foursquare limestone hulk. 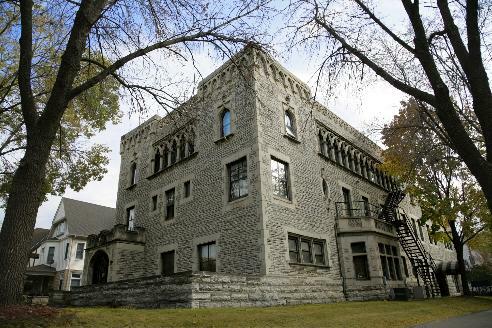 Prominent architects Kees and Colburn designed this stylish Italian Renaissance mansion for Charles M. Harrington, president of the Van Dusen-Harrington Company, one of Minneapolis’s largest grain firms at the time. The exquisite urban estate features a wonderfully intact—and historically designated—John Bradstreet-designed interior, replete with a sumptuous array of mahogany paneling, heavy carvings, decorative plasterwork, and frescoes. Dubbed the “Swedish Castle,” this 33-room French Chateau estate was built for Swan J. Turnblad, a Swedish immigrant who made his fortune by acquiring and transforming a struggling newspaper into the nation’s most widely circulated Swedish-language paper. To showcase his success, Turnblad built a new home, which at the time cost $1.5 million and took seven years to complete. In 1929, he donated it to the American Swedish Institute and moved across the street to the fifth floor of an elegant new Art Deco apartment-hotel, where he spent his last few years overlooking his beloved castle. Hailed as the “King of the Queen Anne,” Theron Potter “T.P.” Healy is Minneapolis’s most prolific master builder of Queen Anne architecture, and this impressive home—which embodies the playful, romantic style—is testament to his skill as both designer and builder. In his 20-year career, between 1886 and his death in 1906, Healy erected more than 130 structures throughout the city. 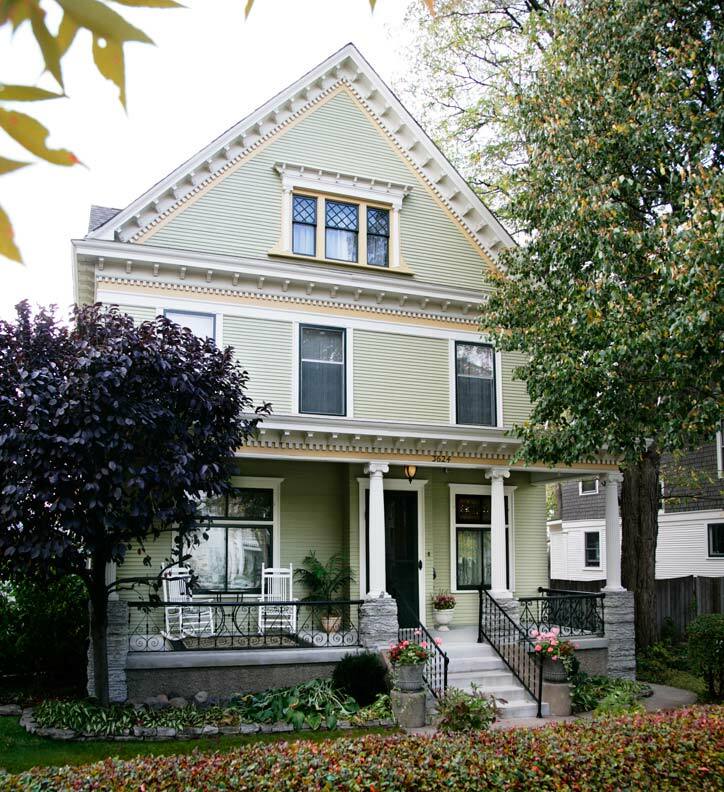 Just a few blocks west of this home lies the locally and nationally designated Healy Block Historic District, a one-block cluster of 14 Healy residences representing one of the largest—and finest—surviving collections of Queen Anne architecture in Minneapolis. 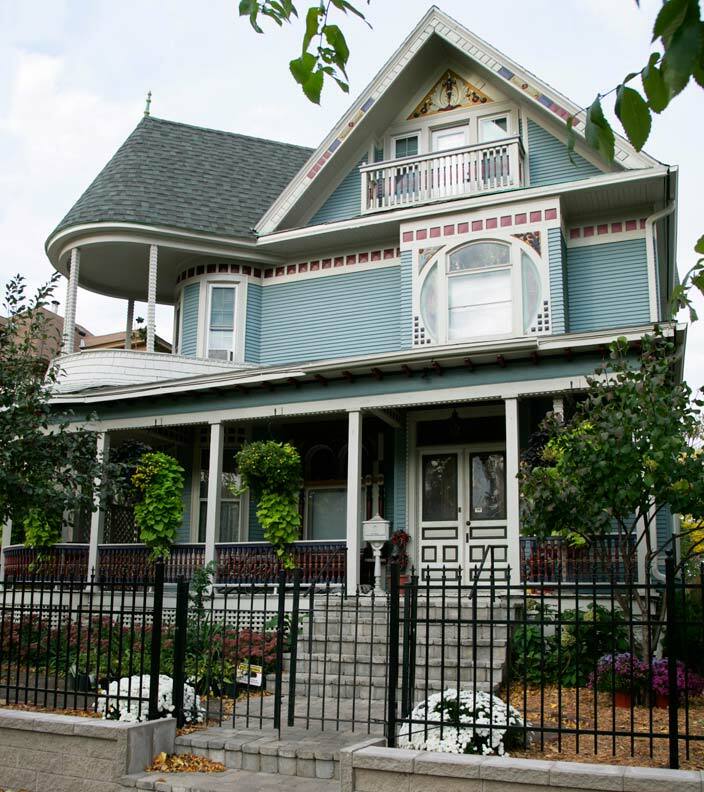 This house’s elaborate façade—with its false double-front gables, three-story tower topped by decorative copper finial, cutaway bays, Oculus windows, belt course shingles, half-timbering, curved clapboard, fish scales, and more—typifies the fanciful Queen Anne style. Owner George Reed was a foreman for James Baxter & Son Co., the firm that contracted the stonework for the famous Washburn-Fair Oaks Mansion, one of Minneapolis’s most missed architectural treasures. This stately Colonial Revival was originally designed and built for Anson Morey by Master Builder Barclay Cooper. 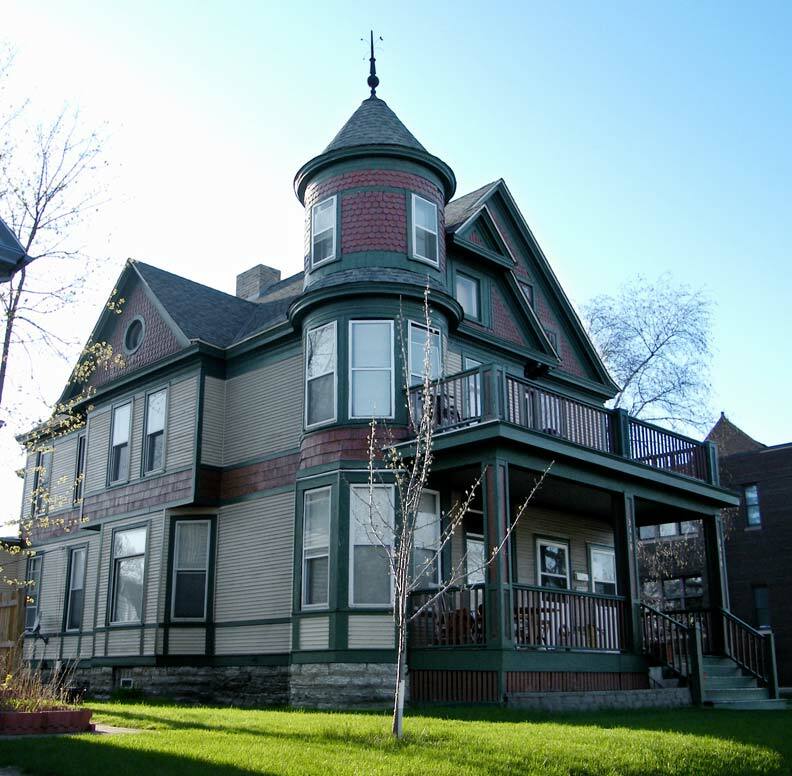 In addition to being a highly skilled and respected contractor, Cooper was an early Minneapolis resident who founded—among other notable civic and religious institutions—the exclusive, fraternal Builders Exchange of Minneapolis. In 1908, the Reinhold Zeglin family purchased the home. Zeglin owned and operated the Coney Island Hotel and Resort on nearby Lake Waconia’s “Coney Island of the West,” a once popular summer destination for Twin Cities society. A beautifully preserved example of a transitional Queen Anne-to-Classical Revival style, this home was originally built for real estate developer Samuel Glading. While Glading was responsible for the development of five other homes on this block—three in collaboration with architect James Record—he chose this as his own. Unfortunately, following Mrs. Glading’s untimely death in late 1899, Mr. Glading was reportedly too heartbroken to stay in the home, and sold it to the Harry Gramps family, who remained until the 1950s. Decades later, Glading remarried and made his way back to the street he once had a hand in developing when in 1930 he purchased a home five blocks north. This entry was posted in Architecture, Historic Preservation and tagged Architecture, arts, historic, illustration, john cowles, minneapolis, old house journal, park ave mansions, william channing whitney. Bookmark the permalink.